Former “Economic and Political Weekly” (EPW) editor C Rammanohar Reddy has warned through a series of controversial Facebook posts on his timeline that if the “rapid slide in EPW after the current crisis” is not checked, the world-class journal, known for some of the best research and scholarly articles, will fade away. Sameeksha trustees are some well-known academics -- historian Romila Thapar, political theorist Rajeev Bhargava, economist Deepak Nayyar (EPW chairman), sociologists Andre Beteille and Dipankar Gupta, and Ambedkar University vice-chancellor Shyam Menon -- and two doyens of banking and finance DN Ghosh (EPW managing-director) and Deepak Parekh (chairman HDFC). 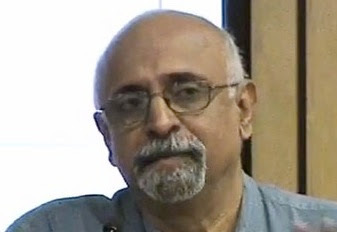 Thakurta was forced to resign after his article in EPW alleging the Adani Group evading Rs 1,000 crore in tax was withdrawn following a defamation law suit slapped by the business group against EPW. One of the most cited investigative articles in the recent past, it can be accessed in www.thewire.in HERE.